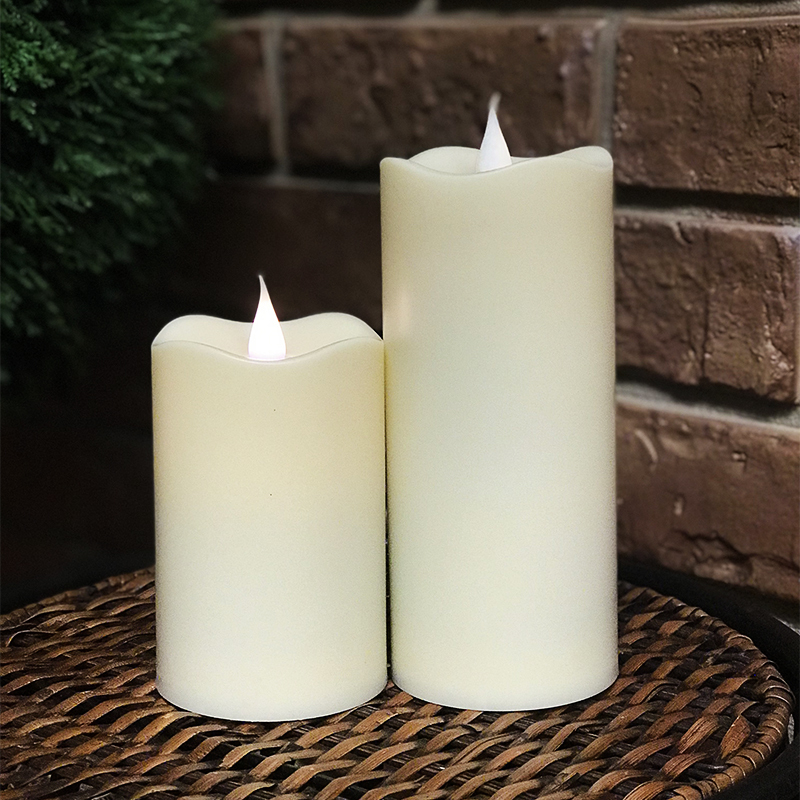 Our new Solare all-weather, water-resistant flameless candles with 3D moving flame technology provide candlelight where ever you need it. 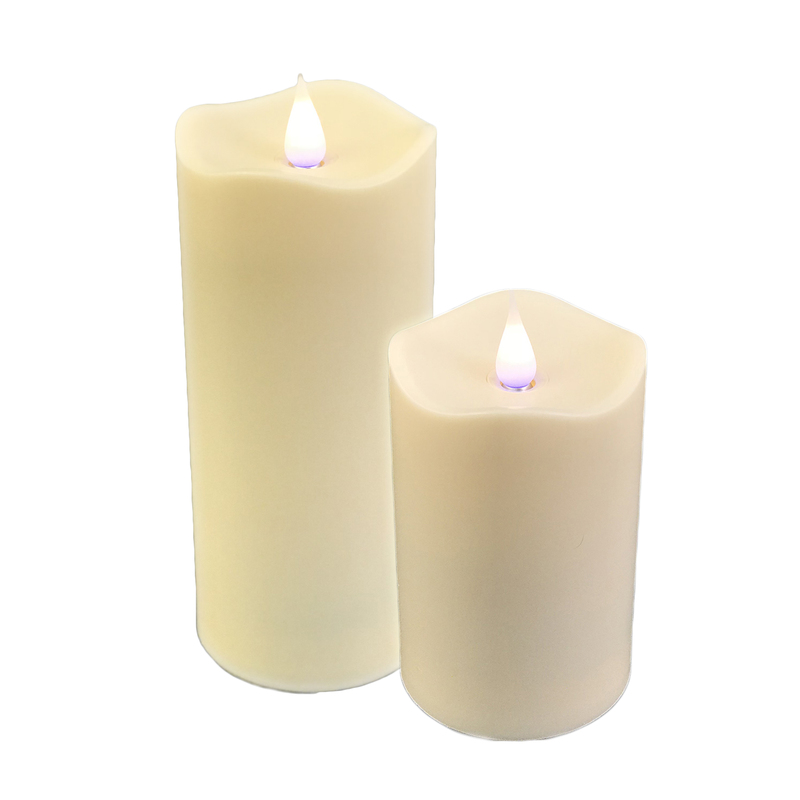 Illumination from within the flame, Solare flameless candles feature Color-Hue Technology, giving the flames the appearance of real fire. 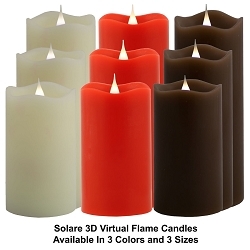 Since the virtual flame is not flat like other moving flame candles, Solare 3D gives you unlimited decorating possibilities and placement. 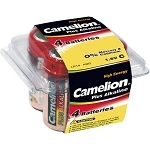 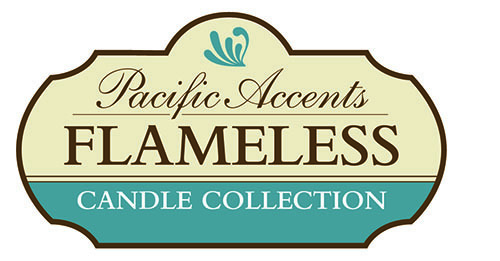 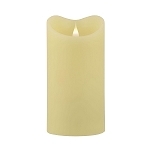 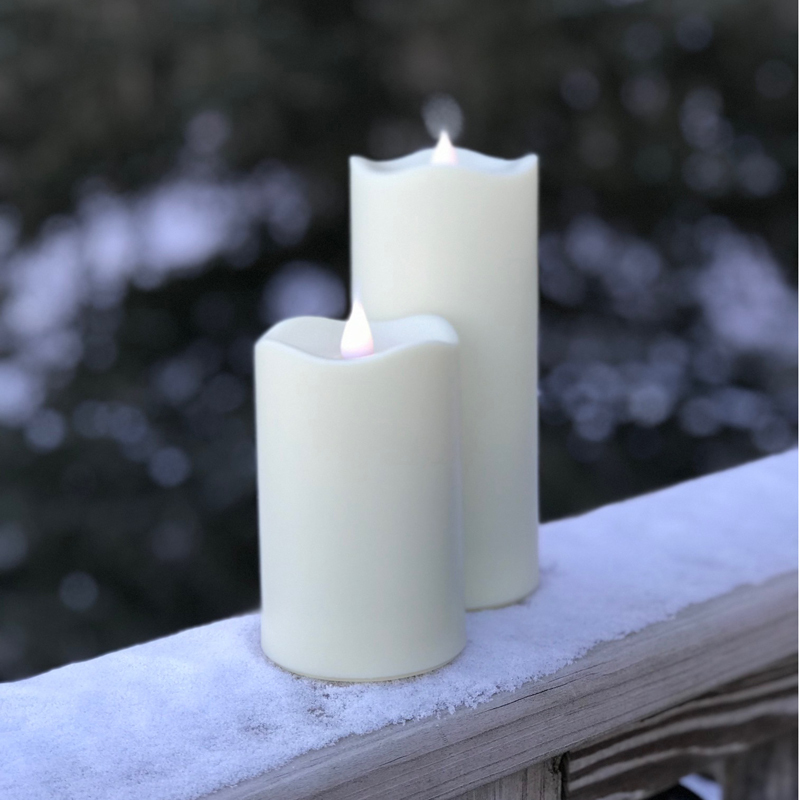 Each measuring 3" Diameter x 4", and 3" Diameter x 6"
Both flameless resin candles are made to withstand normal weather conditions.